Inside the Watt Munisotaram a Buddhist Temple in Hampton, Minnesota. While roaming the countryside in Hampton, Minnesota I decided to stop at a Buddhist temple. Yes, a Buddhist temple. 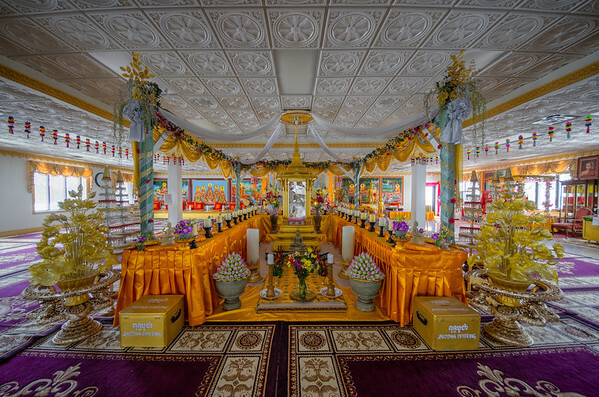 The Minnesota Cambodian Buddhist Society has built a Buddhist temple known as Watt Munisotaram. I love photographing churches and was curious about what the inside would look like. Turns out it’s spectacular and almost overwhelming with such rich colors and details. See the full gallery of Watt Munisotaram. 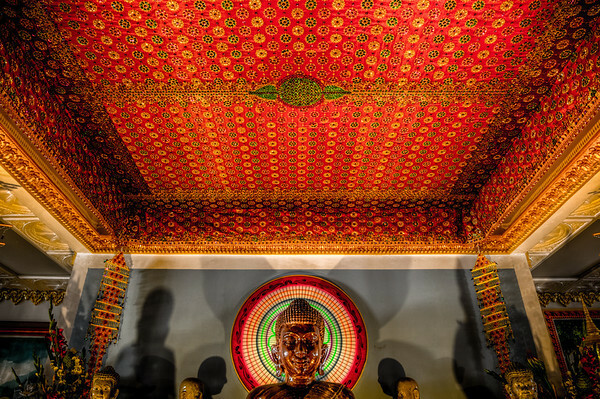 Part of the shrine and ceiling in the lower portion of the temple. There are signs at the door asking you to remove your shoes. There are rugs everywhere so it’s actually quite comfortable taking photos in your socks. 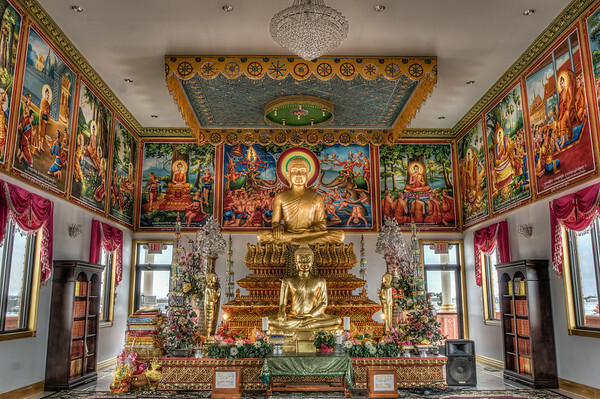 Buddhist Temple in Hampton, Minnesota. Above is a view of the outside. There’s an upper portion and a lower portion in the temple. 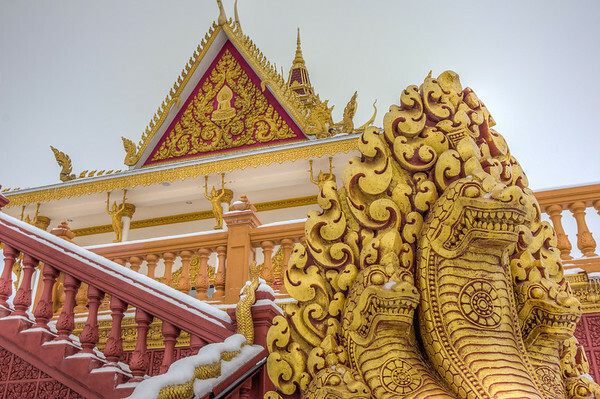 The first picture is the upper portion of the temple which you actually have to walk outside to get to. They are also building a stupa next to this so I’m guessing there will be a return trip in my future! Lower portion of the temple. One last photo to give an idea of the portion of the temple. It’s basically a large gathering space with a shrine (assuming shrine the correct term) in the middle and along the far walls. You can check out the Watt Munisotarm website for more info.